With the Pacers trading away their first-round selection for Thaddeus Young just hours before the draft and acquiring Jeff Teague in a swap of hometown heroes the day prior, most of the excitement for the Pacers was done early yesterday, but the Pacers still had the 50th overall selection in the second round. With this pick, the Pacers selected senior forward Georges Niang out of Iowa State. Pacers GM Kevin Pritchard seemed very pleased in his post-draft press conference that Niang was still available when the Pacers were on the clock. 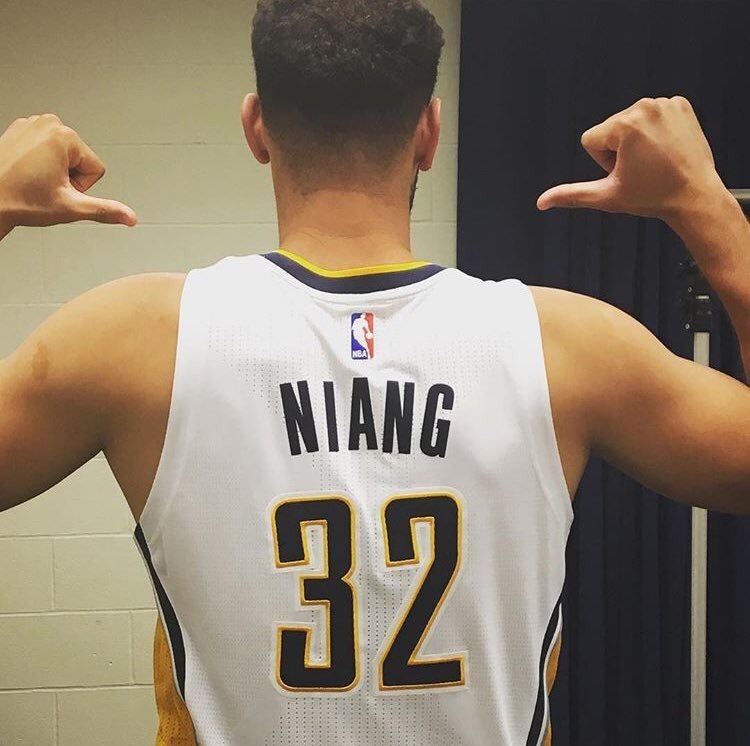 Georges Niang gets taken 50th by the Pacers. Love it. Pritchard mentioned multiple times during his press conference that the Pacers are looking to field teams that have at least four guys on the court that can make plays and that they think Niang can be one of those playmakers at the next level. Pacers take Iowa State F Georges Niang at 50 He's one of the most skilled players in the draft. Lots of non-athletic guys making it tonight. Delving into Georges Niang research. Niang was the only player in the country to average atleast 20 pts, 6 reb, and 3ast per game. Most scouts would probably disagree that Niang can guard multiple positions especially at an NBA level, but they do praise his post defense. Niang does a good job holding his ground on the block and doesn’t get pushed around down low when guarding bigger players. His high basketball IQ does help him on the defensive end as well. But don’t get it twisted, Niang was drafted for one big reason: he’s an offensive playmaker. Niang has a wide variety of ways to score. While his jump shot has little jump (think Sam Perkins when he was a Pacer), he made 39.2% of his three-point attempts last season. He has potential as a stretch four. As Pritchard said, Niang is a crafty finisher around the rim. He doesn’t blow past guys with speed, but has tremendous body control and an ability to create space on his drives that lets him get where he needs to go. He has an array of post-moves that he may be able to use on smaller defenders in the NBA. Niang has confidence in his abilities and doesn’t want him being picked in the draft to be the peak of his journey, “I don’t want the draft to be the highlight,” Niang said to the Eagle Tribune. You can see his offensive prowess in his highlights from last year’s NCAA Tournament. One of my favorite things about him from watching highlights is that the Cyclones allowed Niang to bring the ball up the court at times. He can be a player that can lead your team into a break off a rebound or loose ball. He’s not the type of big that’ll immediately need to find a guard before the offense can get going. Niang will play with the Pacers in the summer league in fans first chance to see him in action in a semi-NBA setting. Joining Joe Young, Glenn Robinson III, Shayne Whittington, and Rakeem Christmas, the Pacers summer league team should be a blast to watch this season. Larry Bird looks to have gotten a player that should be able to earn himself a spot on the roster at least, and that’s no small task when picking that late in the draft. Niang will wear no. 32 for the Pacers. Previous PostPacers acquire Thaddeus Young for 1st-round pickNext PostWill the Pacers re-sign any of their free agents?